The primary goal of the Stream Restoration Program is development of safe and stable stream systems that protect the Austin community from erosion and encourage the use and enjoyment of Austin’s creeks and lakes. The Stream Restoration Program utilizes stream stabilization techniques such as reinforced earth bank reconstruction, limestone rock grade controls and rock weirs to protect structures and public infrastructure from erosion damage. 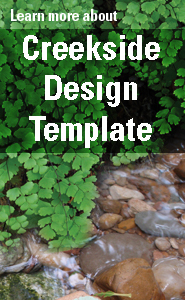 Native materials and vegetation are used as much as possible to enhance the natural creek setting. The program is responsible for conducting erosion site assessments along Austin creeks, designing stream stabilization projects, overseeing construction, and monitoring repaired sites. Click here to learn more about active Watershed Protection projects. Key Contact: Dr. Eric Loucks, P.E. Watershed Protection has repaired more than nine miles of eroded streambank since 2001.